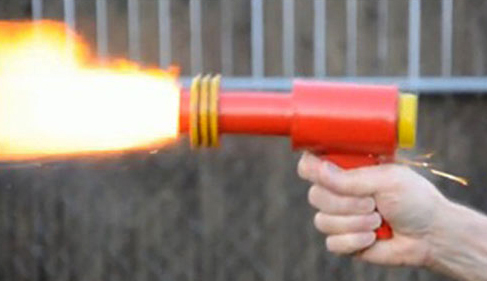 Toy manufacturers try to appeal to kids with all kinds of interesting gimmicks, but some of them just take things a tad too far… Here are some of the craziest toys out there that had to be banned – and for good reason. 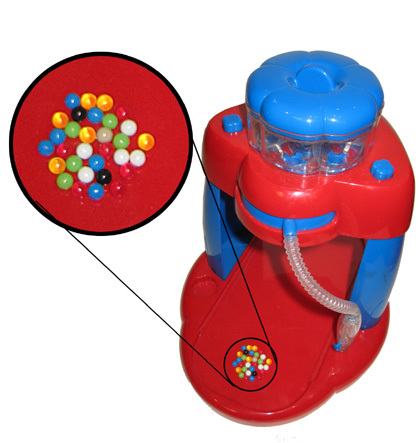 Aqua Dots were colorful beads that came in a fun craft set with endless creative possibilities to the user. Once the beads were sprayed with water, they fused together. Unfortunately, some kids also managed to swallow them, during which these innocent-looking beads would release the highly toxic gamma hydroxyl butyrate, resulting in drowsiness, unconsciousness and even seizures. Aqua Dots were banned in 2007. This toy ray gun was produced in the late 1940’s, inspired by the weapon used by the popular superhero of the time, “Flash Gordon.” Children loved this gun, which was capable of shooting ping pong balls distances of 70 feet and further. It however had to be recalled as its firing mechanism worked with a gas and spark that ignited every time the trigger was pulled, causing some vicious flames to burst from the barrel. Although it was considered a state-of-the-art toy back in the day, today the Austin Magic Pistol would be classified as a “proper” firearm because of its ignition system. The Monster Science Colossal Water Balls were sheer magic according to the advertising campaigns. Once you throw them in water, these capsules would transform from small little balls to huge, lumpy “dinosaurs” the size of tennis balls, all in the name of science. Unfortunately, despite the warning on the packaging that children shouldn’t play with it without adult supervision, these marble-sized balls looked all too much like candy… Once swallowed, the balls would naturally expand to 400 times its original size and wreak havoc in a child’s intestines. To make things even more difficult, they could not be detected via x-ray and often had to be surgically removed. The “Growth Powder” sold with them was also quite toxic, causing a lot of vomiting and life-threatening dehydration. 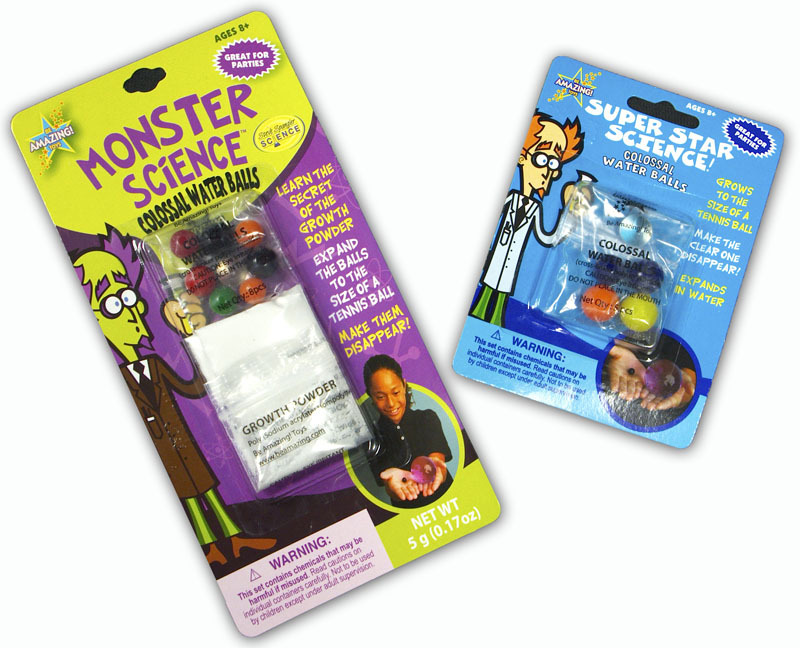 The Monster Science Colossal Water Balls very quickly turned into a colossal problem and had to be recalled. Apart from their creepy looks, the Cabbage Patch Kids used to sell very well. Until some genius designer decided to come up with a doll with mechanical jaws that would chew its food… and children’s hair… and fingers. After receiving complaints about several injuries Mattel had to recall the Cabbage Patch Snacktime Kids in 1997. 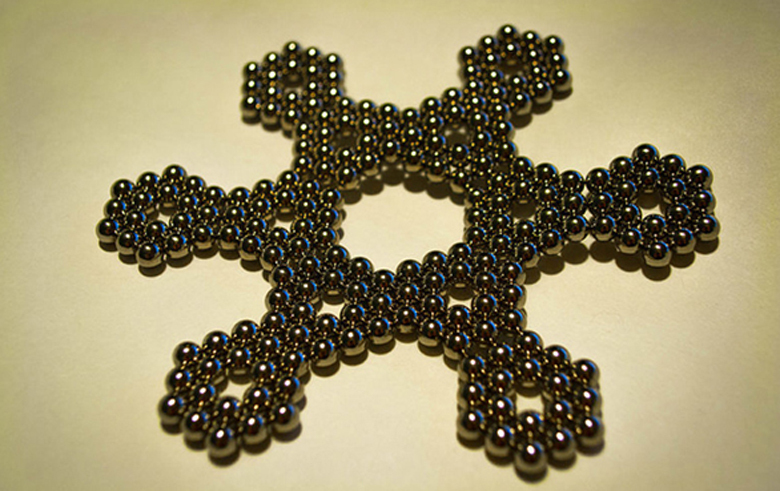 Buckyballs were supposed to be “stress relievers” for more mature people who could create all kinds of interesting desk sculptures with these “super strong” magnetic ball bearings. Unfortunately, they often ended up in the hands (and down the throats) of little children. It was hard for parents to keep track of the balls, which came in large numbers per set and even teenagers were in danger of swallowing them as they loved using them to mimic lip and tongue piercings. If more than one were swallowed, the balls would do their magnetic magic and clamp together, even through intestinal walls. The result could be anything from bowel blockages to blood poisoning, tears in organs and even death. Even though around 1,000 children had to undergo surgery to remove Buckyballs, the manufacturer refused to voluntarily recall the toy. In November 2012, the manufacturer finally announced that they were stopping production because of a CPSC lawsuit. Also called “Clackers” or “Knockers,” this toy was a joy to behold for kids due to the clacking noise it made when swinging the balls apart and together on either side of a string. The balls were made of acrylic and fairly strong, but if they collided too hard they shattered into hundreds of sharp pieces that could inflict grave injury to anyone standing in the vicinity. Click Clacks were recalled in 1985. Little girls were delighted by the way these Barbie-inspired toys would graciously twirl into the sky like fairies. The toy had a helicopter-like mechanism with a mechanical base that would spin the dolls once you pull the cord. The Sky Dancers’ propeller-like wings were however everything but safe – they had the tendency to fly rapidly in any direction, hitting the user and bystanders alike. After complaints about face lacerations, broken teeth, a mild concussion and temporary blindness, Galoob was forced to recall almost 9 million of these toys in 2000. 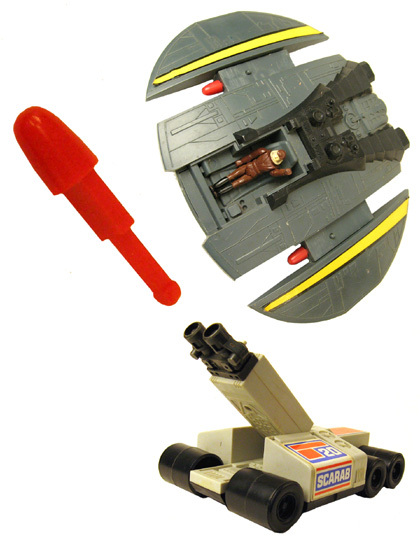 The Battlestar Galactica toys were awesome, but these 1979 missile launchers were an exception and proved to be quite dangerous. 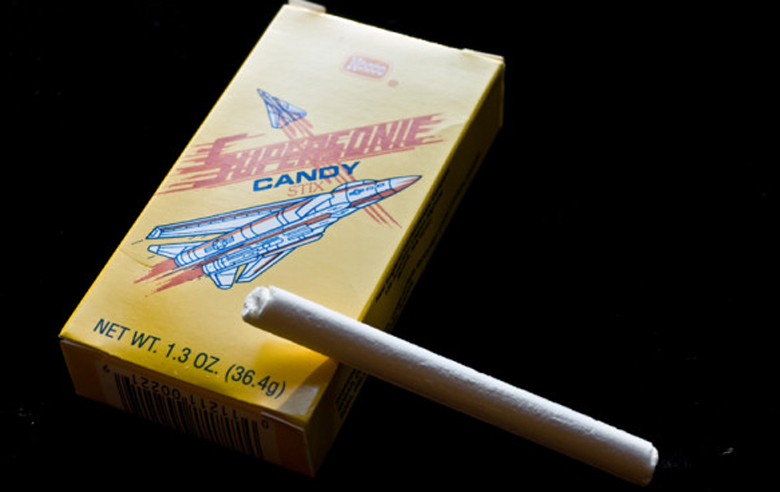 The red missiles that came with it, were just the right size to lodge perfectly in a child’s throat. Even though Mattel tried to save the toy by adding a warning sticker that children should not fire the missiles towards the face or put it in their mouths, this did not help their case and the toy had to be recalled. 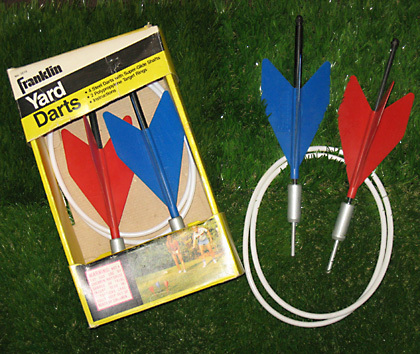 Also known as “Yarts,” Lawn Darts were heavy, solid metal darts capable of piercing anything they would strike…. Like feet and toes and any other body parts… The Consumer Product Safety Commission finally banned the sale of any lawn darts in the U.S. in 1988 after over 7,000 injuries were reported. 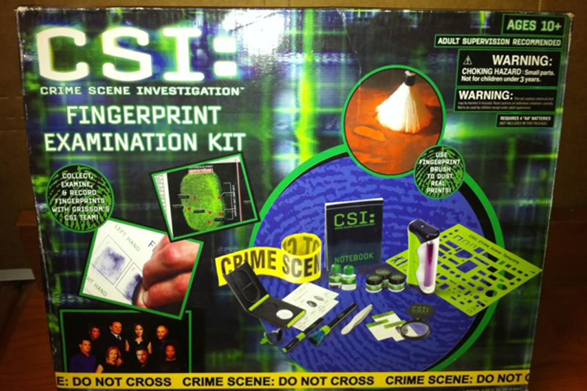 Although encouraging kids to solve “murders” using a CBS crime show inspired forensic kit may sound a bit grim, there is something way more twisted about this toy. The fingerprint dust that came in the kit contained up to 7 percent of a highly deadly form of asbestos. The asbestos in this powder was capable of causing lung cancer later in a child’s life from only one, single exposure. Not a good idea for kids to apply this deadly stuff on everything, from the cookie jar to doorknobs and blowing the dust away… The manufacturer who produced this toy went bankrupt, unsurprisingly. 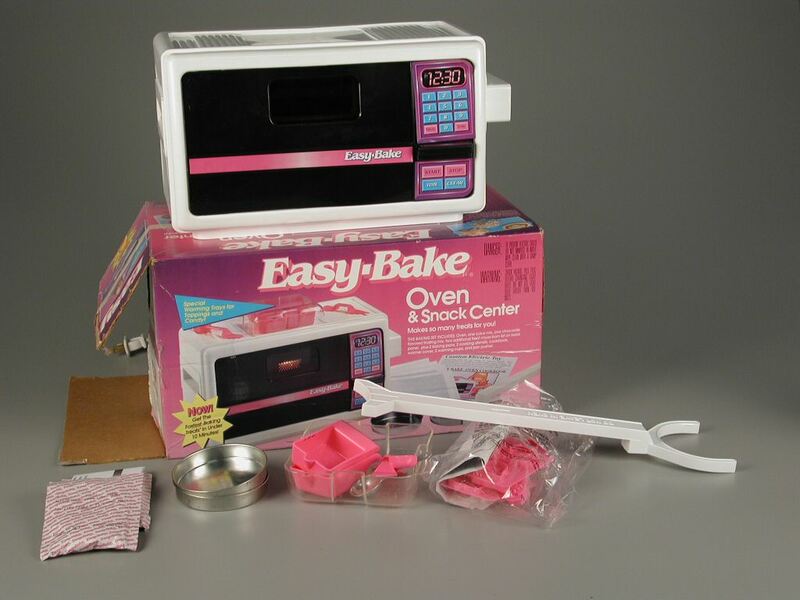 For years, girls could bake their own cakes in the Easy Bake Oven. A newer model, which was released in 2006 however made it way too easy for kids to get their fingers and hand caught in the front-loading door. After 5 burn reports, Hasbro issued a voluntary recall in 2007 and warned parents not to buy the oven for kids under 8 years of age. A free retrofit kit was also distributed to make the product safer. This plastic grate fitted over the oven door and worked as an additional barrier to try and keep little fingers away. This however did not help much and an additional 249 cases of injuries were reported to the CPSC. After Hasbro learned about a 5 year old girl who had to have a partial finger amputation due to a particularly severe burn, 985,000 more ovens were recalled. We all understand the danger of flying toys, especially in the hands of children who don’t always know how to properly handle them. 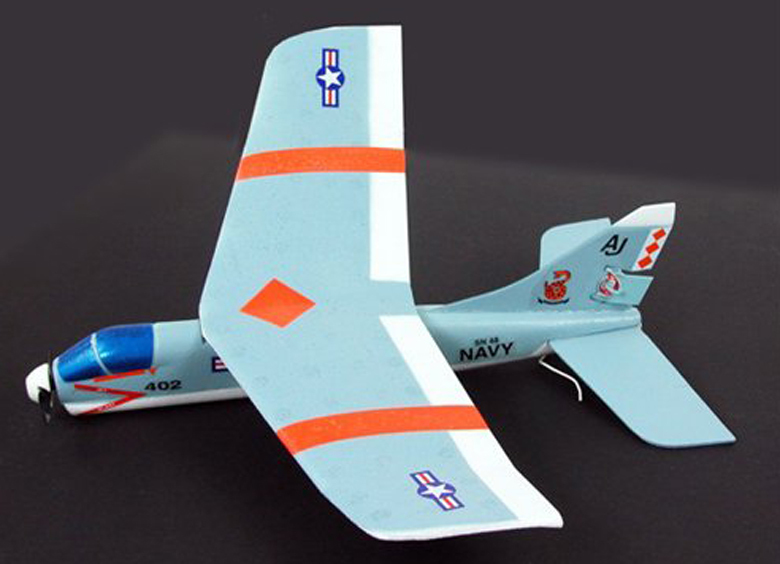 The Sky Rangers Park Flyer radio-controlled airplanes had another, even more dangerous trait – random explosions. These planes would not explode Hollywood-style during a crash, but spontaneously burst into flames mid-flight. The explosions were capable of causing burns, shrapnel injuries, ear damage and more and the company had no choice but to recall the toy in 2007. 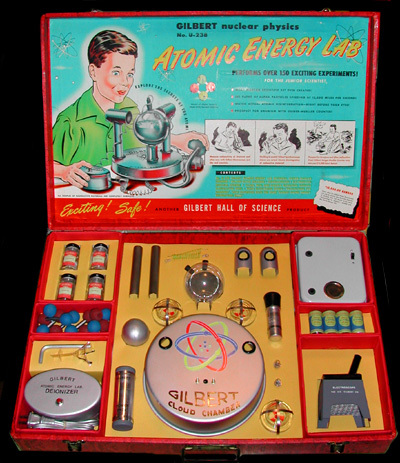 Now who thought it would be a good idea to give kids a laboratory set to allow them to experiment with real radioactive materials? Apparently A.C. Gilbert did, way back in 1951. Kids could watch alpha particles traveling at 12,000 mps through the lab’s cloud chamber. It also had an electroscope that could measure the radioactivity of certain elements in the set. It used to sell for just under 50 dollars and included four Uranium ore samples. 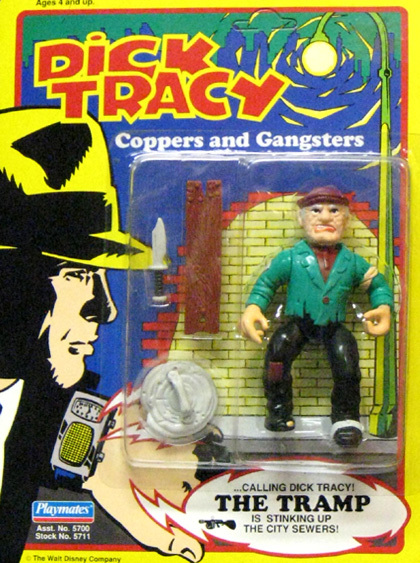 It goes without saying that this toy did not stand the test of time. Even though Gilbert claimed that none of the materials in the set were dangerous, it just didn’t sell and was removed from the shelves a year later.